Home Food & Nutrition Can Dogs Eat Pickles? Are Pickles Safe for your Dog? Can Dogs Eat Pickles? Are Pickles Safe for your Dog? The crunchy, saltiness of pickles makes them very popular with humans. It's no wonder your dog is going to want to get a taste of a pickle, especially when you enjoy them as much as you do. Yet, you may have heard that pickles of any kind are bad for dogs to have, so when the fateful moments come where you see your four-legged friend chomp down on a pickled vegetable, you face a moment of sheer panic. What's going to happen, now? Should you call a vet? Can dogs eat pickles? Just how bad are pickles for dogs anyway? Can Dogs Have Pickles: Yes or No? Yes, they can have few pickle slices but make sure your dog doesn't routinely snack on pickles, and they'll be fine. Pickles aren't necessarily the worst thing your dog can get ahold of, but pickles shouldn't be on the menu. 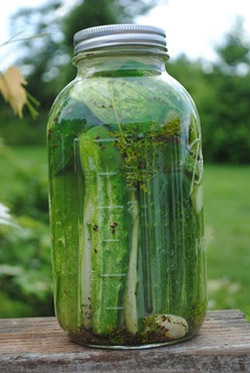 Usually, it is not the pickle itself that cause a problem but the ingredients making up the pickling solution. As you know, pickles are cucumbers that have been soaked in a briny solution comprised of vinegar, salt, and assorted spices. 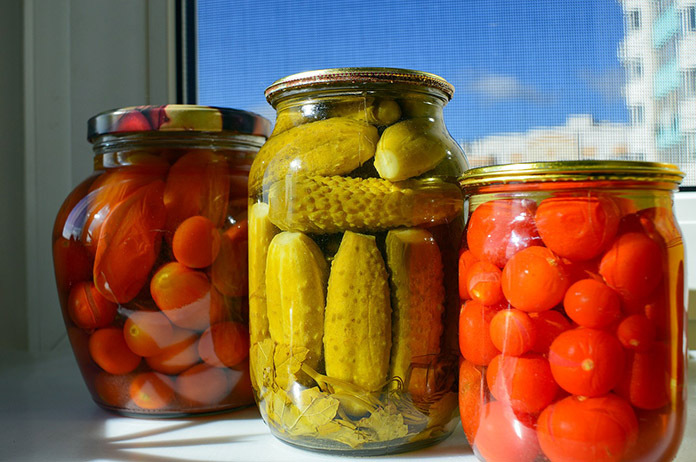 There are also two styles of pickling—fermentation and quick pickling. While the fermentation process results in probiotic growth, this has no healthy benefit for your dog; so even if you think it's healthy to give them a salty snack once in awhile, there are better alternatives. What Makes Pickles Bad For Dogs? There are a couple of reasons pickles are bad for dogs. 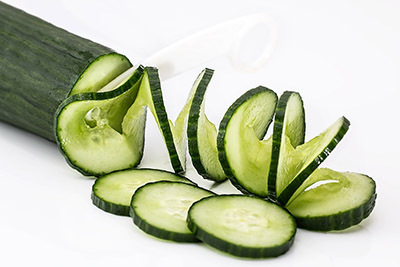 It has to do with the seasonings, and other ingredients the cucumbers or other vegetables are soaked in. Pickles that are made with onions are harmful to dog's health because there is a high level of thiosulphate. This can trigger Heinz Body Anemia (also known as hemolytic anemia), a health issue that causes the Heinz section of red blood cells to grow brittle and rupture. You will notice if your dog is suffering from hemolytic anemia if his or her urine is darker than usual. Other symptoms include vomiting and diarrhea. ​Secondly, there is the sodium content. Though you might think that a little salt now and then is okay, dog food itself is loaded with salt—a nearly full 100% of the daily recommended intake. Too much salt and your dog could potentially develop salt poisoning. ​Should your dog be displaying signs of either Heinz body anemia or salt poisoning, take them to the veterinarian immediately for medical care. ​No. Pickle juice is bad for dogs. It has everything in it that your dog shouldn't be having, that means all the spices, juices, salt content, and oils that could cause the adverse reaction. Never give pickle juice to your dog. Pour it down the drain if you want to get rid of leftover pickle juice. What are Good Alternatives for Pickles? Raw cucumbers are a much better choice for your dog. Unlike humans who prefer the sodium content of a pickle, your dog is not as picky. They will happily chew slices of raw cucumber when given a chance. If you find Fido is keen on pickled vegetables, try the raw or slightly steamed versions of the same vegetables, such as carrots, broccoli florets, edamame, cauliflower, and peas. Besides, all these fresh vegetables are going to have a much higher nutritional content than any pickled vegetable! Has your pooch ever scarfed down a pickle while you weren't looking? What happened? Surely you were nervous! Remember that pickles are not necessarily bad for dogs, but you need to be mindful of what the cucumbers were pickled with, such as onions and toxic spices. We would love to hear about your pet's snacking habits. Let us know your thoughts below in the comment section. Yes they do! My dog loves pickles! Occasionally, I gave few slices.